In July 1865, "Wild Bill" Hickok shot and killed Davis Tutt in Springfield, MO?the first quick-draw duel on the frontier. Thus began the reputation that made him a marked man to every gunslinger in the Wild West. Wild Bill also fell in love?multiple times?before marrying the true love of his life, Agnes Lake, the impresario of a traveling circus. He would be buried however, next to fabled frontierswoman Calamity Jane. 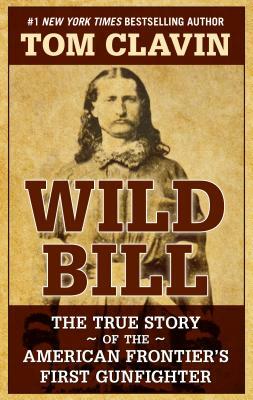 Even before his death, Wild Bill became a legend, with fiction sometimes supplanting fact in the stories that surfaced. Once, in a bar in Nebraska, he was confronted by four men, three of whom he killed in the ensuing gunfight. A famous Harper's Magazine article credited Hickok with slaying 10 men that day; by the 1870s, his career-long kill count was up to 100.